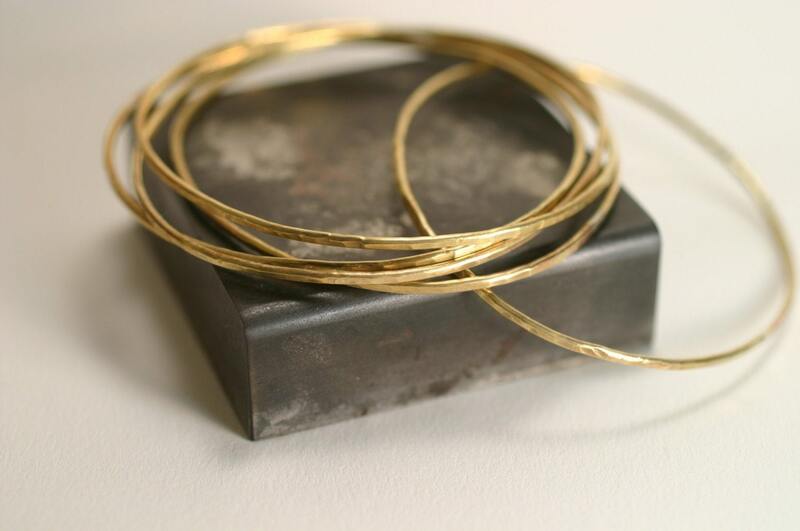 Handmade hammered 14k Gold single bangle bracelet. 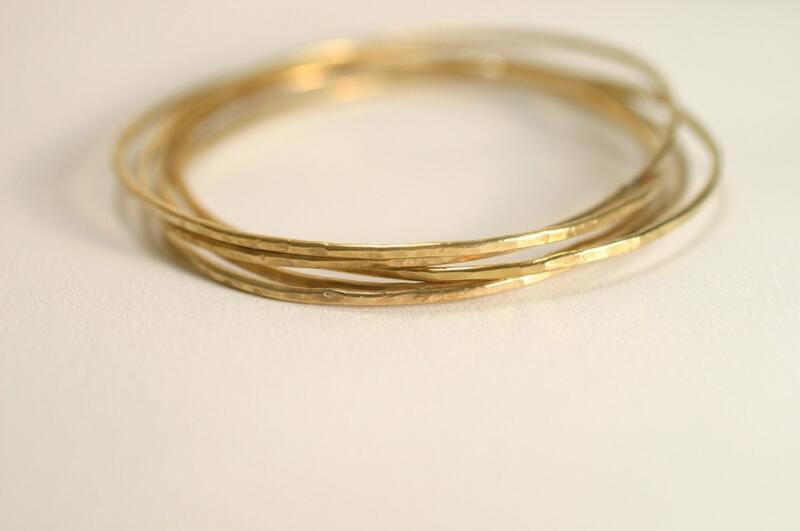 This thin 14k solid gold (not gold fill or gold plate) bangle is hand hammered and then polished for a very shiny finish. If you would prefer a satin finish just let me know. I can also make this in pink gold or white gold. This is for ONE bangle. The bangle measures 1 to 1.5mm in width. 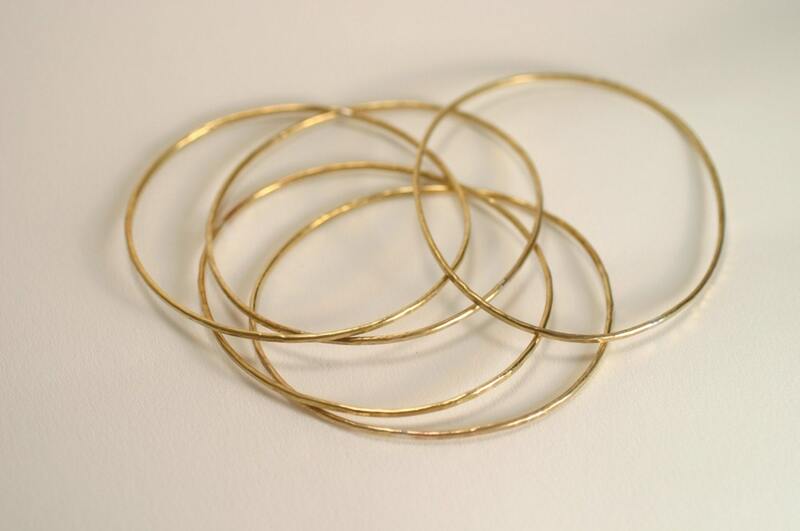 Each bangle is made when the order is placed. So please send me the the measurement all the way around your hand at it's widest point (usually that is at the base of your thumb). PLEASE visit my shop policies for ship times, info on my work, custom orders, etc. http://www.etsy.com/shop/metalsgirl/policy?ref=shopinfo_policies_leftnav If you place an order with me I will assume that you have read and accept my policies.